Cosy and Stylish Patched Knit Sweaters, ready to add to your clothing range or bring your creative touch to. Create your own Patched Knit Sweater to add to your clothing line with these high quality full perm templates. In Layered PSD & TGA/PNG Format, 1024×1024 Resolution. Includes Sculpted Collar and Sleeves for added realism to your creations. 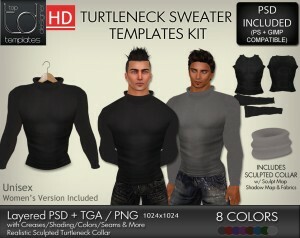 The essential pack for creating stylish & comfortable Turtleneck Sweaters in SL. Perfect for the Winter/ Xmas Season. Create your own Turtleneck Sweaters to add to your clothing line with these high quality full perm templates. 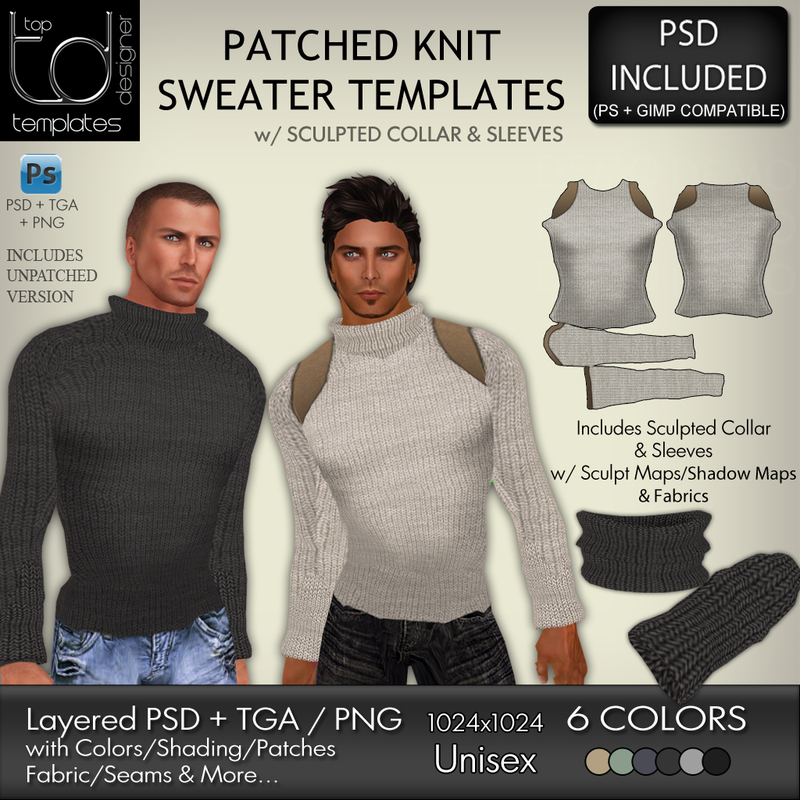 Includes Sculpted Turtleneck Collar for added realism to your creations. Cosy Sweater Sets package includes. Cosy Sweater in Black with christmas logos in 4 designs. Cosy Sweater in Greyscale for easy recolor. Sweater has sculpted sleeves, collar and lower. Sculpts include maps and textures. New design Sculpted Lower and Sleeves with textures and maps. Low Knit Tops come in 5 colors, easy to recolor in world. Tops have nice sculpted lower with sculpted short sleeves. Also included are Black Denim Shorts with sculpted cuffs. All sculpt maps & textures are included in package. 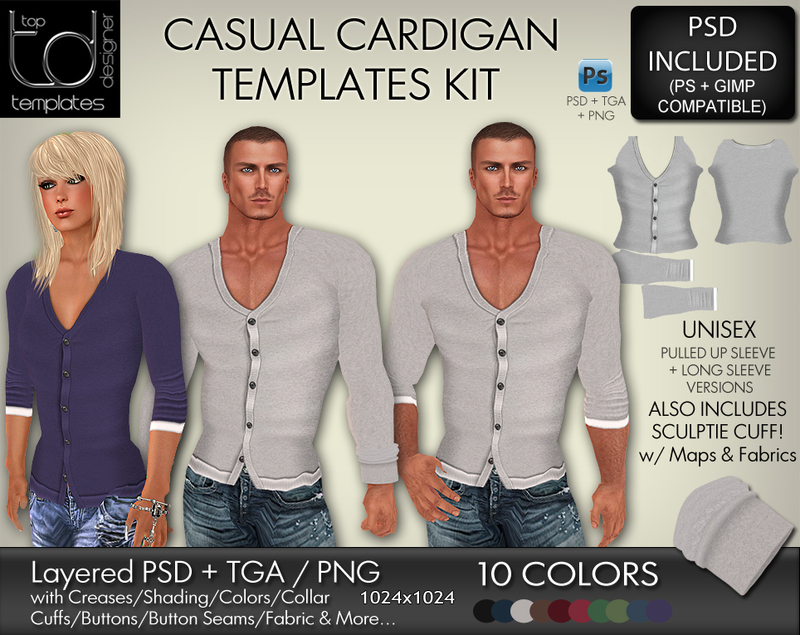 TGA/PNG, ready to wear, multilayered PSD files, instructions. 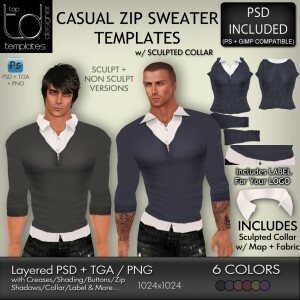 Half Sweater Sets come in 6 colors including greyscale for easy recolour, sculpted collar and sleeves, maps and textures. Long Strap Top in 5 samples with greyscale for adding own logo and recolor, sculpted lower, map and texture included. Includes TGA/PNG + Multi-Layered PSD format. Comes with sculpted collar exclusive by TD. 6 Colors. Sculpt + Non Sculpt Version. 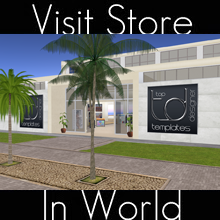 Also has a label on the front to place your logo onto. Stylish clothing to look good for the Autumn/ Winter season. Unisex. TGA/ PNG + Multi-Layered PSD. Sculptie Cuff Included.